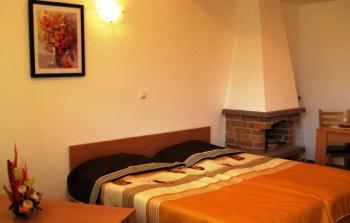 Studio lux is the best option for Studio apartment for rent in Four leaf clover - Bansko. It has one double bed and a sofa bed, the apartment can accommodate 3 people. It has fully equiped kitchen and could be rented by families for longer stays. Check our special prices for longer stays. Do not forget to check our special offers page for the latest special deals for apartments for rent in aparthotel Four Leaf Clover - Bansko.